Please reach out to jamie.berwick@ubishops.ca to make sure your program is an approved funded program. Not all Bishop’s programs are eligible for US funding. Students receiving Title IV aid must register for on campus courses only throughout their academic career at Bishop’s University in order to be considered enrolled in an eligible program. Should a student register in any ineligible course such as unapproved exchanges, internships or independent studies are automatically considered to be in an ineligible program and will immediately become ineligible for Title IV funds and will have to pay back any previous aid received. There is no appeal process for this requirement. The departments approving courses /exchanges may not be aware of the limitations American students on Aid have so meeting with your financial aid officer before registration and degree changes is strongly advised. Departments look at academic performance and degree requirements to advise students. Departments are not given names of American students on Aid and therefore are not in a position to evaluate this strict element when giving academic advice and are not liable for any miss-information an American student may get. It is the responsibility of the student to stay within the program eligibility requirements and seek assistance from the Financial Aid Officer. All students coming from the US must first apply with the William D. Ford Federal Direct loan Program. That is your first step. Financial Aid Information for US Undergraduate Students and Parent. The primary source of aid for citizens and permanent residents of the US is through the William D. Ford Federal Direct Loan Program. Undergraduate students are eligible to apply for subsidized and unsubsidized Direct Loans from the US government and parents may apply for a Parent PLUS Loan. The US government does not allow foreign schools to offer Pell grants to students. The application process for US Direct Loans is different for students attending a foreign school. All of the above steps for Direct Loans and Parent PLUS loans should be completed by July 1. Applications are processed on a rolling basis. Late applications cannot be assured of obtaining loan documentation in time to obtain immigration approval or, that loan funds will be disbursed by the tuition fee payment deadline. 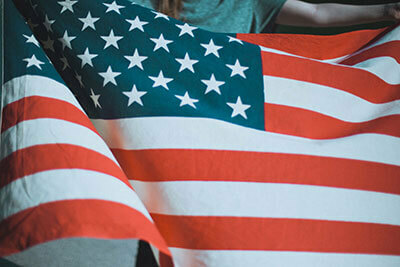 Did you know that June 14 is American Flag Day? We wish to thank all of our American students for choosing Bishop’s University! Students are advised of the loan offer(s) by letter (sent via email) listing each loan and the GROSS amount of each loan in US currency. This letter can be used for proof of financial capacity for immigration purposes. Students are advised to “accept” or “decline” each loan offer within 3 days of receipt of the letter. Students must be registered full time prior to the disbursement date. If not, disbursements will be delayed. Loan amounts will be converted into Canadian funds upon disbursement. Students whose loans will not be disbursed by the fee payment deadline can apply for a Tuition Payment Deferral : University Promissory note – link to follow shortly. Students can request a refund using the Student Refund Check Request form for any credit balance on their tuition account. The University annually provides T2202A (Canadian equivalent to US 1098) for tax purposes. The T2202A will be available to all students in late February of each year on their student portal myBU. IMPORTANT – PELL grants are not available to students attending foreign schools. US citizens or permanent residents who are registered full-time in a degree program are eligible to apply. Students registered in the one year BEd Education program are not eligible. Any funding above these limits will need a Parent Plus loan application. Once you have decided that you are coming to Bishop’s University, please contact jamie.berwick@ubishops.ca to start your file. In order for us to complete a loan request we will have a few questions to go over with you. All students must complete a Master promissory Note (MPN) on the Federal Student Aid website. If you are a parent requesting a Parent Plus loan you must complete the MPN on the Federal Student Aid website. If you will be registered less than full-time, contact International Students Services to ensure there will be no difficulties with your immigration status. The Satisfactory Academic Progress Policy (SAP) applies to all students applying for US Direct Loans under Title IV of the US Higher Education Act. These types of loans include Direct Loans (Subsidized and Unsubsidized), Direct Parent PLUS and Direct Grad PLUS loans. All students will have their academic progress reviewed at the end of each academic year. Students who have not fulfilled the SAP requirements will not be eligible for US Direct Loan funds for the subsequent academic year(s). It is a student’s responsibility to read and understand the Satisfactory Academic Progress (SAP) Policy! Incompletes, Withdrawals, Repeated Courses, Transfer of Credits (including Inter-University transfers) for the purpose of US Direct Loans. are considered attempted but not included in the CGPA calculation until being replaced by a final grade. are counted in the pace calculation. Withdrawals are not counted towards the attempted credits. Repeated courses grades are included in the CGPA as per faculty regulations. Credits transferred from other programs or degrees are included in the SAP evaluation as per faculty regulations. Students who have taken more than 150% of the published length of degree completion time are not considered to have fulfilled SAP requirements and therefore, become ineligible for US Direct Loans at Bishop’s University for that degree. Completed Rate = Total credits completed in an academic year / Total credits attempted in an academic year. If your CGPA drops below 2.0 All types of US Direct Loan denied Raise CGPA to required standards. A student may appeal if you have extenuating circumstances. If you do not have an overall completion rate of 67% or more All types of US Direct Loan denied Raise your completion rate to 67% or higher. You may appeal if you have extenuating circumstances. If your CGPA drops below 2.0 AND your overall completion rate of under 67% All types of US Direct Loan denied Raise your completion rate to 67% and raise your CGPA to 2.0 or higher. You may appeal if you have mitigating circumstances. If you take more than 150% of the published length of time to finish your degree Ineligible for all types of US Direct Loans No action can be taken. You must complete your studies without US Direct Loans. US federal aid regulations mandate a Return to Title IV Funds (R2T4) calculation when a student receiving Title IV financial aid (US Direct Loans (subsidized and unsubsidized), Parent PLUS loans or Grad PLUS loans) withdraws from the University. If a student never attends, ceases enrollment, or withdraws from all courses in the semester and the student received US federal financial aid, the University must determine if these funds are required to be returned to the US government within 45 days of the date of withdrawal. The total amount of US Direct Loan aid awarded accepted and/or disbursed. As a result, Bishop’s and the student may be required to return any “unearned” US federal aid received. Bishop’s may be obligated to return funds on behalf of a student. If the amount of the loan funds returned exceeds any existing credit on the student’s account, the student will owe the funds to the University. The student should make arrangements with Businessoffice@ubishops.ca to repay the outstanding amount to the University as soon as possible. A letter from the Business Office will be sent via a student’s Bishop’s email address indicating the type and amount of aid returned to the U.S. Department of Education on their behalf. As per the Higher Education Opportunity Act (HEOA) of 2008, the US government requires institutions offering US Direct Loans to disclose the following consumer information. If you require any further information about the content, please contact businessoffice@ubishops.ca. Student Financial Aid Information Bishop’s University US Student Aid web page. (Current page). Students with Disabilities Information about Bishop’s services offered to students with disabilities. Refund Policy and Procedure For information about the University’s refund procedure, please refer to the Tuition and Fees website. Return of Title IV Financial Aid See the previous section of this web page. please refer to the Charter of Student Rights and Responsibilities. Notice of Federal Student Financial Aid Penalties for Drug Law Violations Information on the penalties associated with drug-related offences under the US Higher Education Act can be found here on the U.S. Department of Education’s website. Drug & Alcohol Prevention Program Certification Bishop’s offers an employee and family assistance program, to all regular employees. Bishop’s University Health Services offers a Health Education website which contains information about alcohol and drugs. Also, please refer to the course outline document handed out to you by your professor at the beginning of each course. Security Report – Missing Person, Students in Difficulty For information about what to do in the case of a missing person, please consult the Security Department website. Privacy of Student Charter of Student Rights and Responsibilities. Fire Safety report Please see the Emergency Information by topics of the Security website. information regarding loan availability is requested, including the rights and responsibilities of students and schools under Title IV loan programs. National Student Loan Data System (NSLDS) Bishop’s reports student registration on NSLDS several times each academic year. Access is through the National Student Loan Data Services at https://www.nslds.ed.gov/nslds_SA/. Entrance Counseling for Student Loan Borrowers Please refer to the Counseling section of the StudentLoans.gov website. Exit Counseling for Student Loan Borrowers Please refer to the Counseling section of the StudentLoans.gov website. Your exchange school is not located within the continental United Sates. All exchange schools must be Title IV approved to be eligible to get aid for the exchange. Any university that is not Title IV approved will jeopardize your aid while on exchange and future eligibility for aid. Students participating in a Study Abroad Program are NOT eligible to receive subsidized/unsubsidized/PLUS or alternative loans through Bishop’s. You will be paying your tuition fees to the other school (abroad). You must therefore make arrangements with that school (not Bishop’s) for financial aid. Bachelors of Education (BEd) – (36 credit / I year degree completed after a BA in Educational Studies or a BA /BSc with a Double Major: Education and teaching discipline). Since elements of this program are not recognized by the US Department of Education, the whole program is ineligible. Arts administration – This program is ineligible since the mandatory course AAD353 is not eligible. B.A Psychology honours – applied – This program is ineligible since the mandatory course PSY442b is not eligible. * Non-Title IV American students can enroll in non-Title IV eligible programs but will not be able to convert at any time while they are in the program. Certain Title IV eligible programs have elective courses that are not eligible for Title IV funding. Students that take ineligible courses for credit towards their credential are not considered in a Title IV eligible program. Your schedule will be evaluated every semester prior the add/drop deadline and should you be register in an ineligible course(s) they will be removed from your schedule to preserve your title IV eligibility. Business Co-Operative Education Program – Course codes BMG391, BMG392 AND BMG393 are not eligible courses for Title IV funding. Computer Science Coop – Course codes CS391, CS392 AND CS393 are not eligible courses for Title IV funding. Politics and International Studies – Course codes INT300, POL300, POL352, POL353 and POL354 are not permitted for American students and will be monitored at the beginning of each semester. Any American student registered in these courses will be removed prior to the add/drop deadline. Us Students considering and international exchange can participate only in TITLE IV approved foreign schools (outside of the United States). For more information, please visit the International Students website and the Student exchange and study abroad programs website. EDU322: Integrating Technology in the Class room. It is an optional course within the Major in Secondary Education. Telecommunications Course (distance learning), correspondence course, or direct assessment, except for distance education technologies use to supplement and support instruction in the classroom are all Title IV ineligible courses. Students are required to receive the entrance counseling. Students can contact the Financial Aid officer at Bishop’s University for more information. The Business Office (responsible of government financial aid programmes), the Admissions office, the Records office and the Recruitment office, all work together to ensure proper information is given to students. Exit Counseling provides students with information about repayment plans. It is mandatory for all graduating students with subsidized, unsubsidized and GRAD PLUS loans. Online Exit Counselling must be completed during the final semester of studies and prior to graduation. An acknowledgement will be sent to the University upon completion. If you withdraw from the University, you are obligated to fulfill this requirement. Students can contact the Financial Aid office at Bishop’s. The University reports every two months enrolment status of students to the NSLDS. The DER report is validated every semester by the financial aid officer when students are coming in the Business Office to update their file. The University keep in records the student information in its system after they leave the University. We make sure to update personal information until students graduate or leave the institution. The University financial aid officer will review the cohort default rate (CDR) at least once a year. The University financial aid officer meets and informs all students having US government loans of their responsibilities. Bishop’s University encourages all students to be proactive with information relevant to their circumstances.